A rush hour gun attack on a teenager in Leeds is thought to have been a targeted incident following a fall-out between rival groups. The 19-year-old victim was shot in the leg at around 5.30pm on Thursday near shops on Stainbeck Road, Meanwood. Police were called, but all those involved had fled the scene by the time officers arrived. It only became clear what had happened when the victim was later traced to hospital. He was being treated for serious but not life-threatening injuries yesterday as police tried to piece together events leading up to the attack. Drivers were delayed on as diversions were put in place in the aftermath of the incident after police cordoned off a large area. 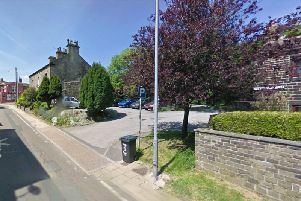 Stainbeck Road was closed at the junction of Potternewton Lane and as far as Bowood Avenue. The diversions remained in place for a short time yesterday morning and officers stood guard at a nearby ginnel leading to Stonegate Green, where further cordons were in place. “Reassurance patrols” were also being carried out. Despite the public location of the shooting, which is opposite a row of shops, most people in the area said they had not been aware of what had happened until later. One woman, whose flat overlooks the spot said she was “shocked but not surprised”. West Yorkshire Police has appealed for anyone with information to come forward. Call the force on 101 or Crimestoppers on 0800 555111.